At Whisky Live Singapore 2018 there were many La Maison du Whisky exclusive bottles…. No surprise given who organized the event! The Glenburgie was selected by Florian Were for the 50th anniversary of La Maison du Whisky which was started on 20 rue d’Anjou, part of their Whisky Chronicles series. Again, easy and accessible with enough character to make you pay attention. Incredibly balanced and deceptive as didn’t come across as cask strength. What an enjoyable pair… both were simply unique bottles to sample and not available for purchase. 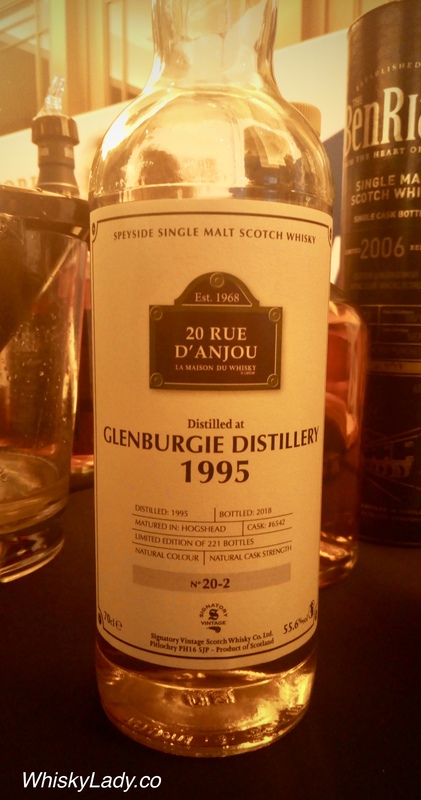 Clocking in around 23 and 20 year for single casks at cask strength, this was clearly a case of trying “once” not more…. however if you do come across either and enjoy lighter more nuanced styles, take advantage of the opportunity! This entry was posted in Cask Strength, Highland, Scotland, Speyside and tagged Clynelish, Glenburgie, La Maison du Whisky by Carissa Hickling. Bookmark the permalink.